Specializing in the trapping and removal of nuisance wildlife from your property, home, or business. Be Our Friend On Facebook Like Us!
" We Specialize In The Removal of Eastern Montana's Unwanted Wildlife "
We find the gaps that birds and invading raccoons and squirrels can enter your home and repair them. We seal up using a variety of materials taking the architectural design of your home or building into consideration, and give you the best animal proofing possible. We are a professional animal control company and not your local county animal control who may provide some free services if any. We provide wild animal removal services only. Please contact a local shelter or the county animal control for any concerns regarding domestic dogs and cats. Do you have beaver destroying your home, farm business, or exterior property? We offer professional beaver trapping help . 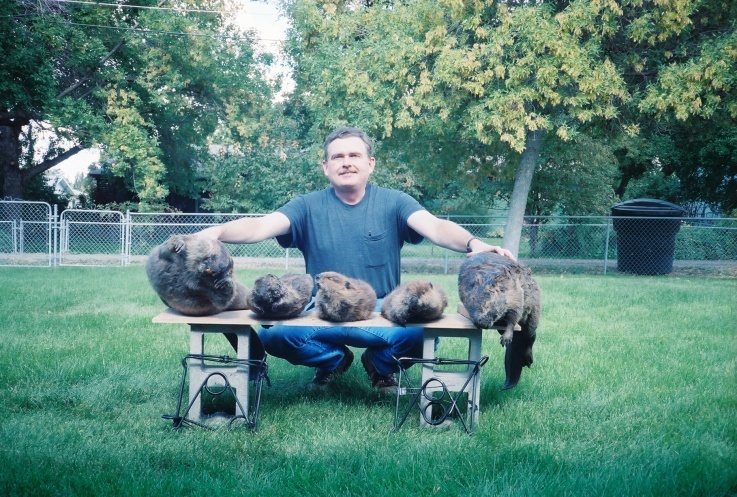 We are professional beaver trappers and wildlife removal specialists and cover most of Eastern Montana. they may cause damage. Beaver are responsible for lots of damage to trees , cause lots of flooding and damage to crops, farm and ranch land. We love to trap beaver, and know how to rid your river, lake or streams of nuisance beaver dams. We also screen trees and prevent beaver damage to trees. Need Bird Control near Billings? Looking For A Bird Exterminator In Eastern Montana? 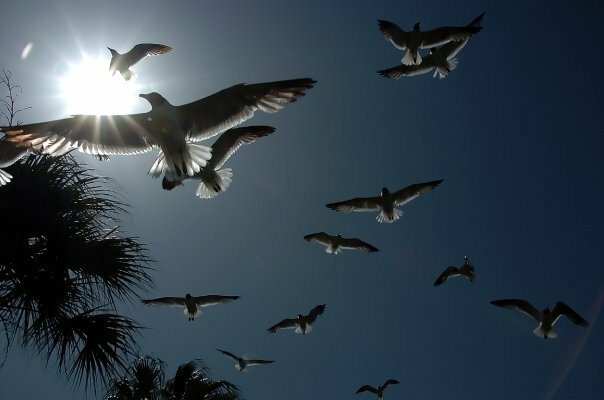 Got bird or pigeon problems near Billings, Harlowtown, Roundup, or Forsyth. Most of our bird control work involves pigeon control and pigeon extermination . We also can help with grackles, pigeons, sparrows, swallows starlings, woodpeckers and other nuisance bird species IAW local, state and federal law. We provide provide a number of bird harassment techniques up to and including lethal control measures as permitted by law. Did you find a dead deer or antelope on your property. Need Dead Animal Carcass Removal? Maybe you suspect a dead animal died in your walls and want to get the dead animal and the dead animal smell out of your home. We can help. Got a Porcupine On Your Property. Porcupines and pets , just don’t go well together. If you have a problem with a porcupine on your property, save a veterinarian bill and keep your dogs inside until we remove the porcupines. 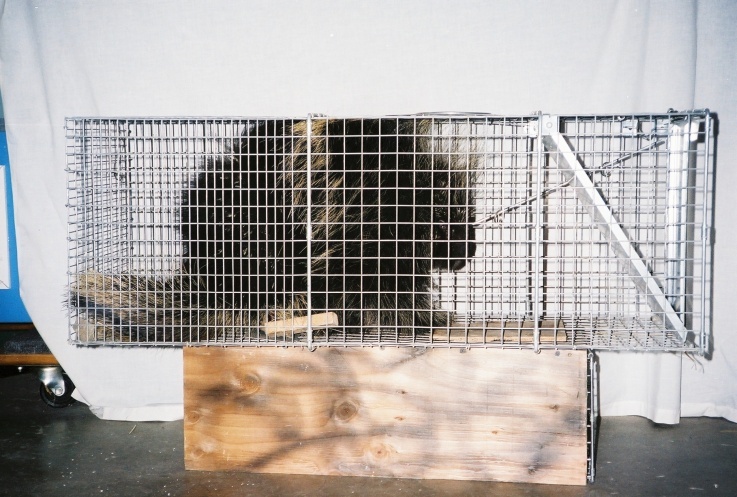 Many wildlife removal companies don’t even know how to trap porcupines but we do. We do a lot of of prairie dog control work and most of our referrals come from both near and far. Many call and tell us they have heard about our success with prairie dog fumigation. We specialized in towns under 5 acres. Cage traps can be used to capture prairie dogs, but the process is typically too expensive and time consuming to be employed for prairie dog control since most prairie dog towns consist of hundreds to thousands of prairie dog . We provide professional pest control fumigation for prairie dogs and ground squirrels. We promise immediate results. Need rabbit removal, or rabbit control? 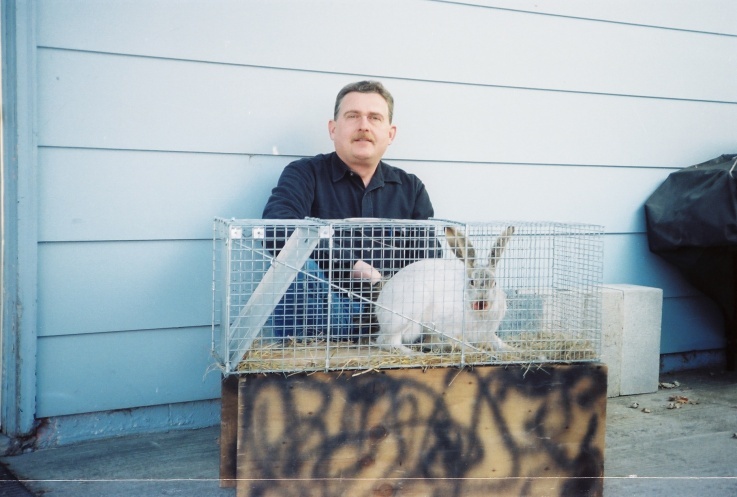 We are professionals trained in the humane removal and deterrence techniques for rabbits, hares and jackrabbits. We know how to trap rabbits, get rid of rabbits and keep rabbits out. We remove and control all rabbits and can prevent rabbit damage in your lawn, garden, farm or ranch. Call for a rabbit control quote & inspection appointment today! 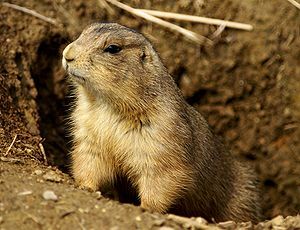 Rockchucks are a marmot also known by other names Whistlepig, Yellow Bellied marmot, Ground Hog, Woodchuck. Got a problem with rockchucks digging up flowers, gnawing your yard decorations or tunneling in the lawn we can help. We know how to get rid of rockchucks and keep rockchucks and other wildlife out! Got a raccoon in your attic, chimney or fireplace. We know how get the raccoons out and keep them out. We are Billings First Professional Wildlife Removal Company . We are Billings Raccoon Removal Experts call us today! We know how to trap raccoons, control raccoons , remove raccoons and prevent raccoons from causing future disturbances. We offer the control of both tree squirrels and ground squirrels. We get squirrels out of attics and keep squirrels problems out of of your lives for good. Got a problem with ground squirrels ask about our burrowing animal fumigation servcies. We offer odor free skunk removal 7 days a week. We know how to get rid of skunks and how to trap skunks right the first time and have a standing record of over 97% of all of our skunk removals are odorless. Need skunk removal near Billings Montana or in eastern MT give us a call. It is no secret that Montana is both home to the venomous Prairie Rattlesnake aka Western Rattler and non venomous snakes including members of the Colubrid family : Common Gartersnake, Eastern Racer, Gophersnake, Milksnake, Plains Gartersnake, Smooth Greensnake, Terrestrial Gartersnake, Western Hog Nosed Snake and one member of the Boa family – Rubber Boa, Bull Snakes. We trap all snakes, any snake harmlessly and remove all venomous and non-venomous snakes and transport them far away to safety . Professional snake handler offering professional snake control services throughout most of eastern Montana. Copyright © 2010-2011 Big Sky Wildlife Control Services LLC Billings Montana. All Rights Reserved. Design, Hosting & SEO Powered by Sites By Robb and Created For Dave Salys Billings, MT.